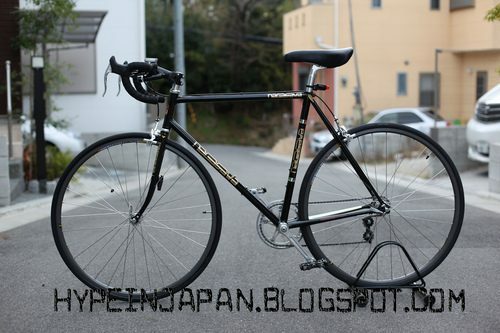 Dave from Hype in Japan shot me an email first thing this morning about a new Nagasawa project. Not having internet at work can really put a damper on things and I had to wait all day to post this amazing bike. More information below. 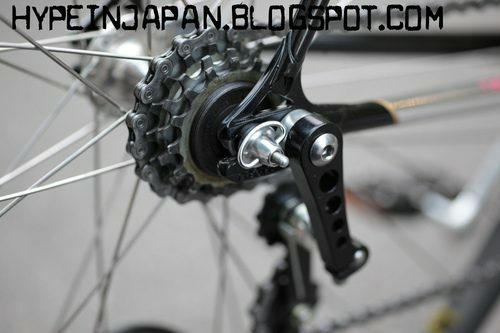 This 4-speed Nagasawa has a track Q-factor holds a 4-speed freewheel within its 120 spaced rear. So, here’s my question. How do you shift? Do you have to manually move the tensioner? What about the front derailleur? So many questions! The new concept made by Mr Nagasawa is now available. The Roado – Pisto concept is a 4 speed bike imagined and made by Mr Nagasawa. There are 3 different sizes, and bikes are available in black colour or in white colour. The bike will be introduced at the handmade exhibition in Tokyo from 15 th of January to the 17 th of January. It reminds me of what Nagasawa did to Sasha’s bike to make it more street-friendly. Interesting project for sure!